【Safety&High Quality Ink】Our marker pens are made of high quality imported ink allowing you to draw at least 300 meters.Alcohol-based ink,long-lasting,water resistant,dries quickly making them perfect for variety of purpose,and can be used on variety of material. 100% brand new high quality imported pen and Ink, perfect for all art and craft projects, hobbyist, crafters, manga coloring,scrapbooking,journalizing and hand lettering or with your diary or planner. Suitable for student artist,Adults and kids who are older than 3 years old. Set of 12/24/40/60/80 colors are available. 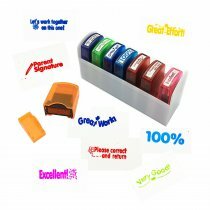 Color-coded caps,allow for ease in organization and use in identifying colors. 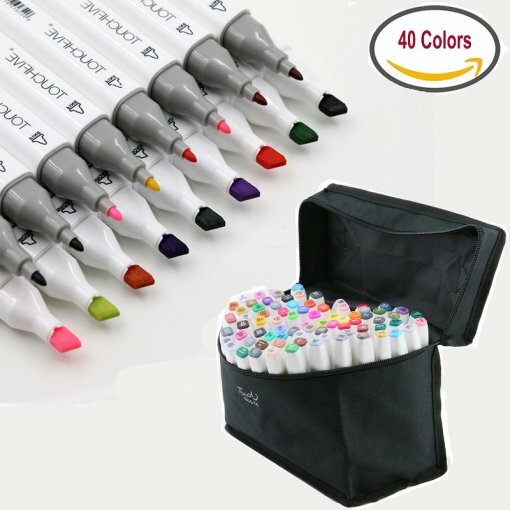 Portable and convenient:a black zippered storage case organizes your markers in one place,the handle of the case is very handy for travelling,so that you can take it with you anytime and anywhere. You only need to lightly remove the pen cap and you can use it. The unique barrel design provide a comfortable non slip grip that prevents hand fatigue. can be used to draw/sketch in glass, metal, photos, paper and so on. Also perfect for use on ceramics, glass, wood, cloth and more. Please cap the pen immediately after using every time to prevent oil volatilization. Not intended for use with children under 3 years. These markers are amazing. Love that they have two sized tips. Very bright colors, and who can complain about 168 colors to choose from? Great buy, well worth it! I am new to alcohol ink markers but I love the price of these. I had to make a new color chart as some of the colors were very wrong. But I am enjoying them as I learn to use alcohol ink markers. Other sets have a white or clear colored marker to push ink back into the lines if they bleed out. I have not found one in this set, so I bought one from another line of markers. I think this is a great learning set but I feel I will out grow it soon. Several pens were blowout,but the pens come in nice color options, they also bleed like though two pages. In all they are ok but not great. Next time I will learn from this mistake and purchase two. It seems my best friend just loves them and refuses to share. She says that the co?Lord are bright a d very beautiful. She does believe that they are Permanent ink marker. So if she loves them and trust me impossible to buy for then these markers are a huge hit. Thank you.